Watch a video of a 2010 performance by poet Kent Foreman. 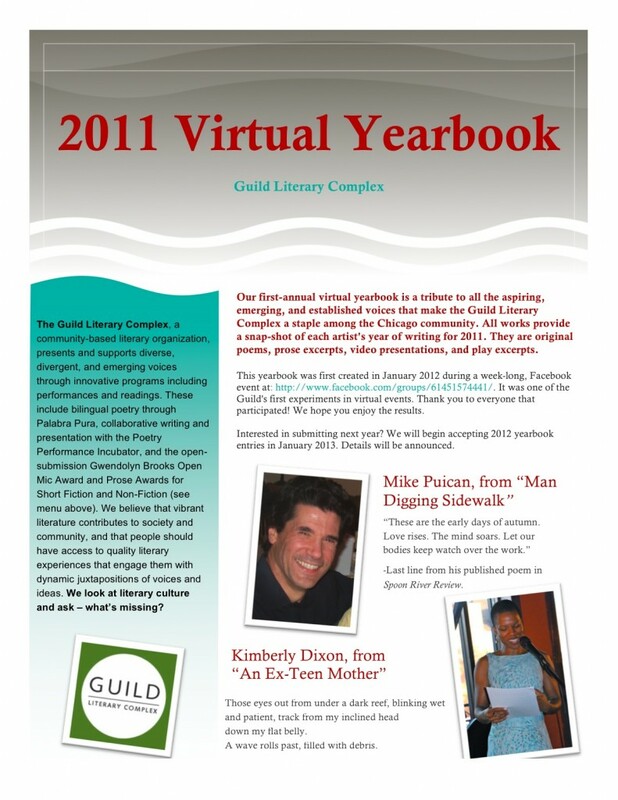 2011 Virtual Yearbook – to download, click here. Guild friends and fans tied a bow on their 2011 while getting their writing energy going for 2012 with our first annual Facebook Yearbook. The yearbook is a virtual open mic where people share their favorite line from a poem, fiction, non-fiction or play they wrote that year. Here’s the result! 2010 – “Collaborate” featured writer Alex Kotlowitz and filmmaker Steve James and a preview of “The Interrupters,” their soon-to-premiere film about an innovative anti-violence program that went on to win at Sundance. 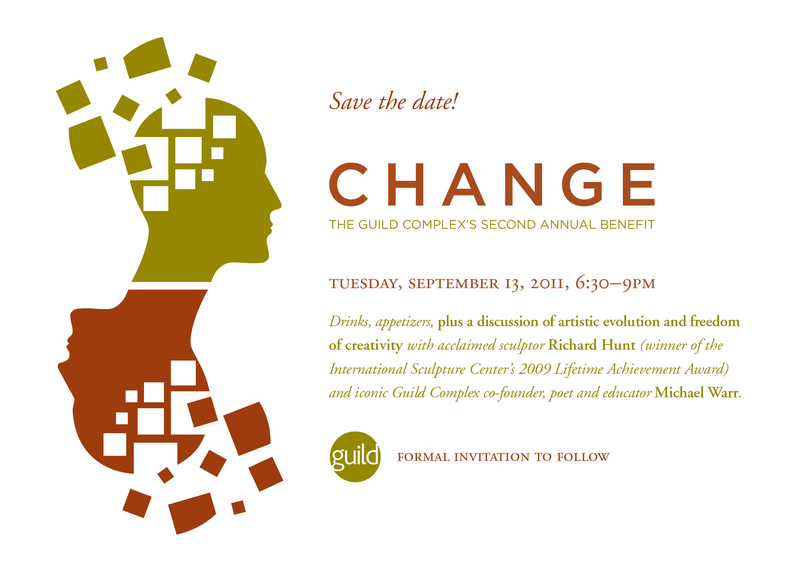 2011 – “Change” featured internationally-known sculptor Richard Hunt and poet and Guild co-founder Michael Warr in a discussion of artistic evolution and freedom of creativity (moderated by Guild Executive Director Kimberly Dixon). 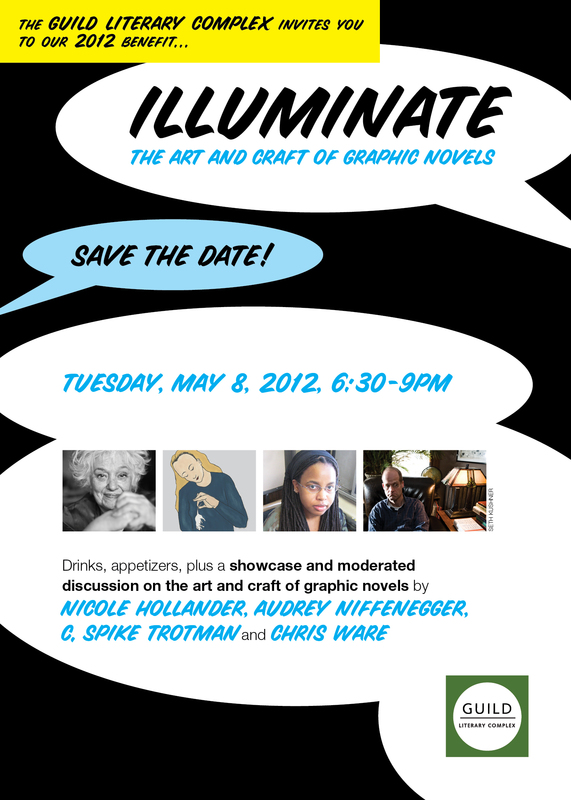 2012 – “Illuminate” featured prominent graphic novelists Nicole Hollander, Audrey Niffenegger, C. Spike Trotman and Chris Ware in an exploration of the challenges and opportunities in pairing word with image.